Molokai, Hawaii is the fifth largest of the Hawaiian islands and is known as “the most Hawaiian” of them all. Perhaps because no buildings can be built taller than a coconut tree? Or maybe because of the laid back lifestyle, the lack of tourists, or maybe because of the friendliness of the people? No matter the reason you definitely get that feeling the minute you step off the plane. Home to less than 7,000 people, there is only one hotel and just a few places to eat. 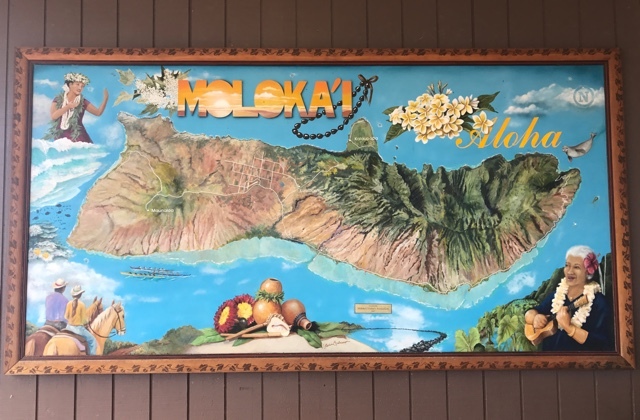 So what exactly does one do when visiting Molokai? 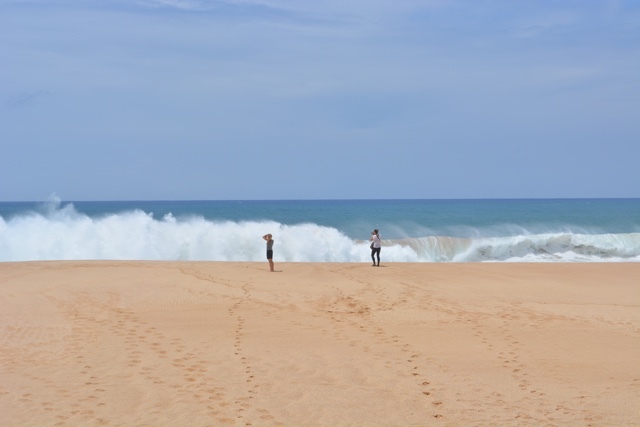 Here are my best tips for visiting Molokai, Hawaii. 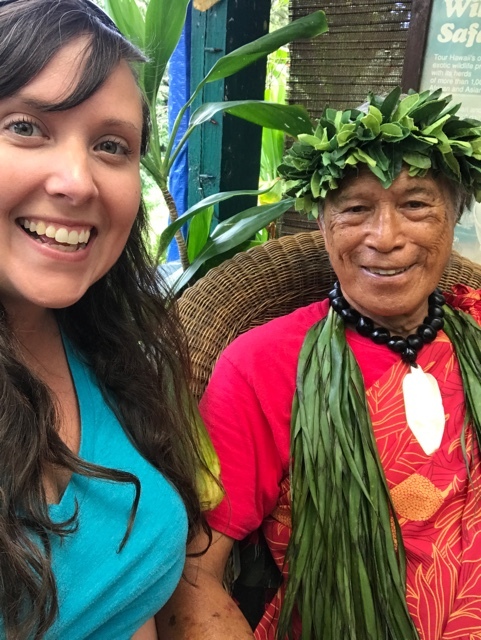 The most popular activity on the island is to spend part of the day learning about the Hawaiian culture. 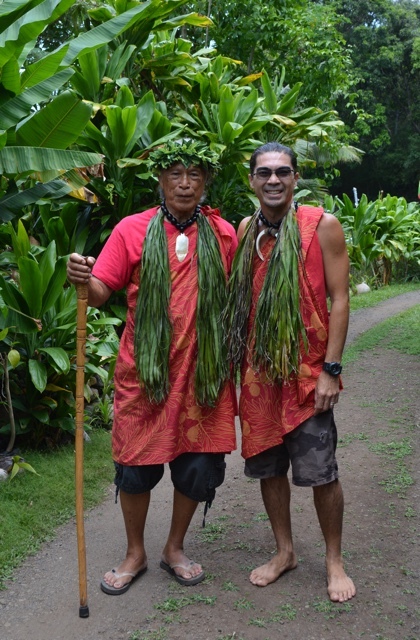 The very best people to teach you are Anakala Pilipo and his son Greg Solatorio. They live on the eastern side of the island in the Halawa Valley. Anakala (Uncle) is the last remaining descendent to be born and raised in the Halawa Valley and he still lives there today. They give hiking tours to the Halawa Valley waterfall and teach visitors about the Hawaiian way of life and living off of the land. They truly believe the Hawaiian way of life to be sacred but not secret and want to share it with everyone so that it will never be forgotten. When visiting they invited us to their home where we learned about Hawaiian protocol, how to pound taro root into poi, and a lot more. Anakala also told us about surviving a great tsunami that swept through the valley in 1946 when he was just 6 years old. One of the most common flowers used to make Hawaiian leis is the plumeria flower, also known as frangipani. 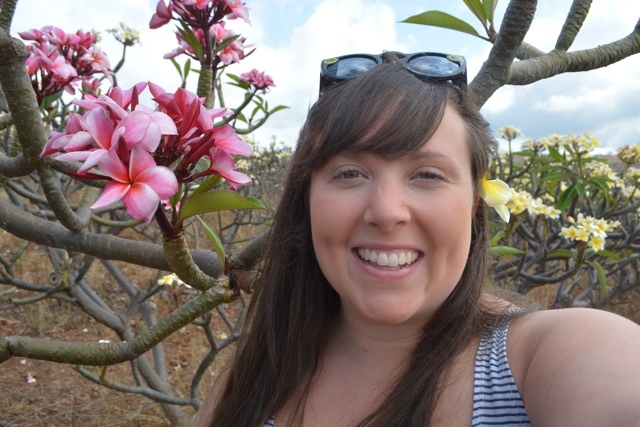 Located a couple miles from the main town of Kaunakakai is the Molokai Plumerias Farm. Here you can explore through rows upon rows of beautiful yellow plumerias. Make sure you stop for a smell or two. You can also take a tour that teaches you about these beautiful flowers and their history in Hawaii as well as take a lei making class. Macadamia nuts are very popular in Hawaii and you can buy them a bunch of different ways from plain to salted, garlic flavoured and even covered in chocolate. 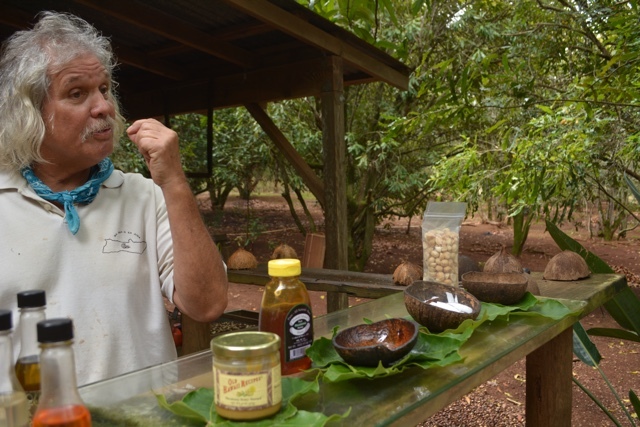 When visiting Molokai a fun activity to do is visiting Purdy’s Macadamia Nut Farm. 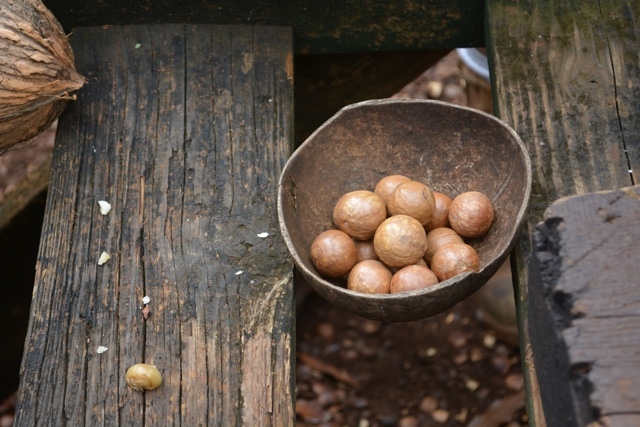 You can learn about the macadamia nut, see how they grow and learn how to properly crack them. You can also meet Purdy himself who is known to be quite the character. Samples of various macadamia nut products made there are available to be taste tested and you can also buy all things macadamia nut. Hawaii is the only place in the world where macadamia nuts are harvested year round so they are also the freshest. The macadamia nut isn’t picked. They aren’t fully ripe and ready to eat until they fall off of the tree by themselves. Once they do then that is when you know they will taste the very best. In 1866 under King Kamehameha V part of Molokai became a designated leper colony for people with leprosy. What we now know as Hansen’s disease. At the time the disease wasn’t very understood and they were quarantined there to prevent the spread of the disease. 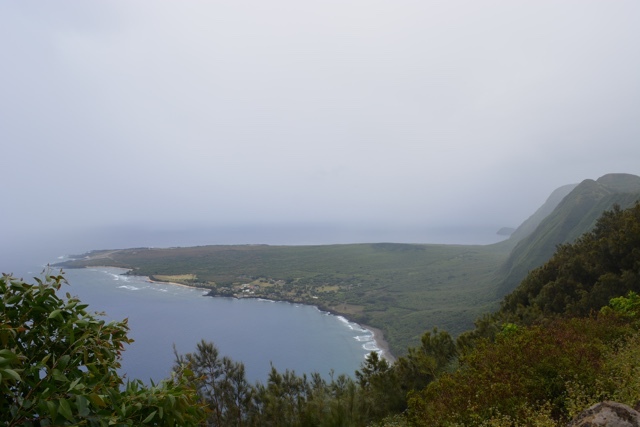 Now known as the Kalaupapa Leprosy Settlement and National Historic Park you can visit to learn about the history of the location and how they lived secluded from the rest of the world. Kalaupapa is on the north side of the island on the Kalaupapa peninsula separated from the rest of the island by 2,000 foot sea cliffs. To get down to the bottom you can either fly in or take a mule ride down. The 3 mile trail by mule takes about an hour and 15 minutes going down. Due to the rains we encountered on our trip we were unable to visit but it is meant to be a great experience learning about an important part of Hawaiian history. Post-a-nut Coconut that you can mail, as is to anywhere in the world! Molokai is home to the Hoolehua post office known for sending very unique packages to anywhere in the world. 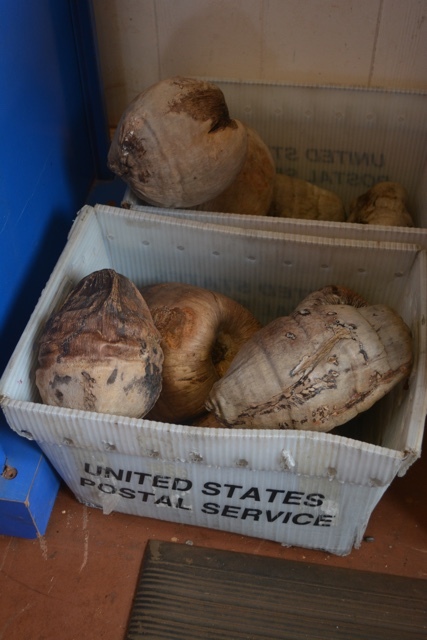 Aside from your regular envelopes and boxes they are also popular for mailing coconuts. Known as Post-a-Nut you can send one for roughly $10-$12 domestically anywhere in the US. 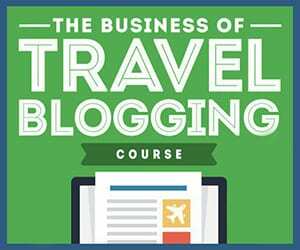 Or you can pay a bit more to send them anywhere else in the world. 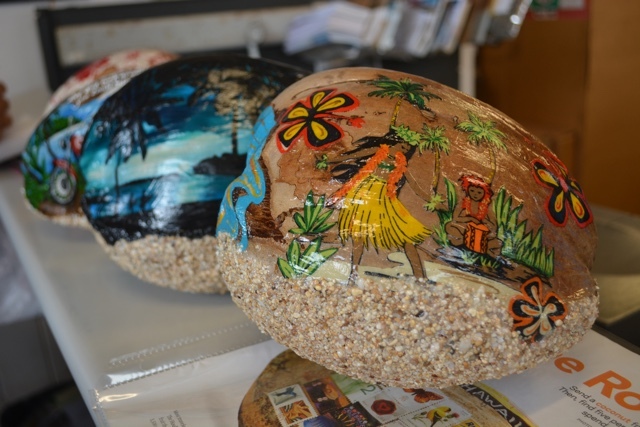 You can send just a plain coconut, send a pre-decorated one or decorate your own one if you like, just make sure you leave room for the stamps. Before visiting Molokai one of the most talked up “must try” items that I heard about was Molokai hot bread. Made at the Kanemitsu Bakery and restaurant it is a popular late night treat on the island. You can’t just walk into the front of the bakery and order it though. For Molokai hot bread you have to go down the dark alleyway to the back and order it through a window. There are five flavours to choose from: strawberry, blueberry, cream cheese, butter and cinnamon. 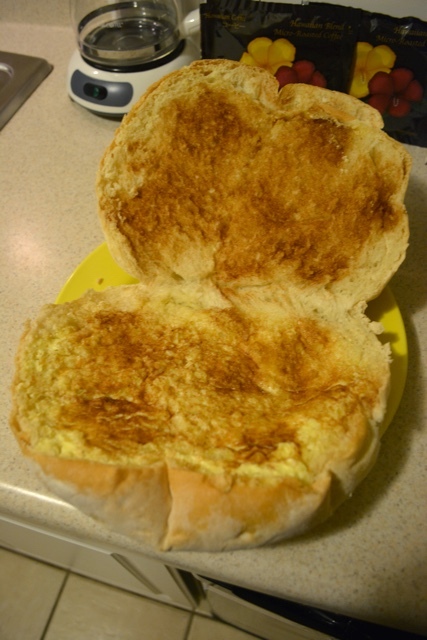 We opted for two orders of hot bread with butter and cinnamon. A great choice indeed. 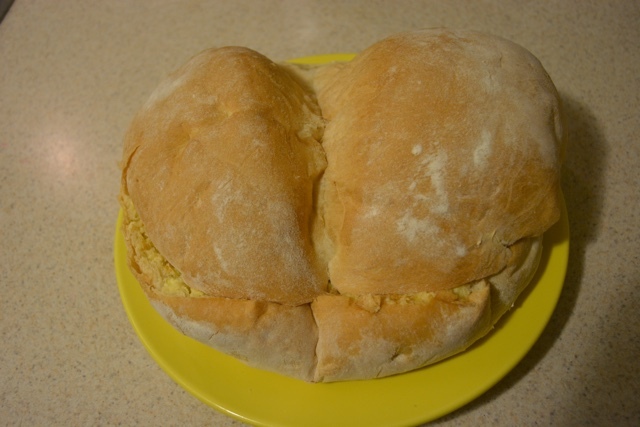 The hot bread was served warm, cut in two, slathered with lots of butter and topped with cinnamon. Pretty simple, but definitely a nice treat. You can’t visit Molokai without giving it a try for yourself. 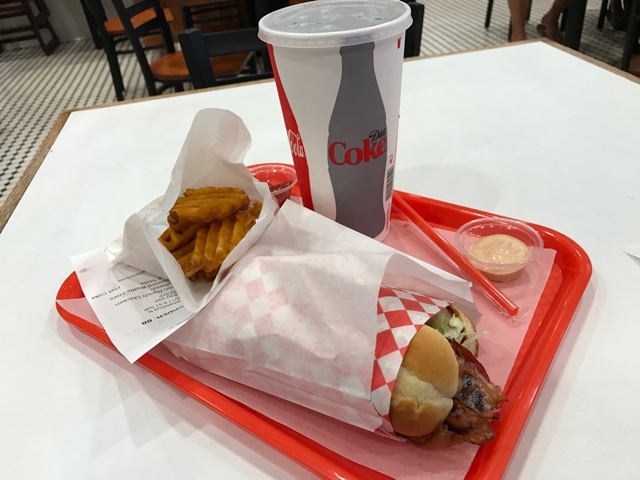 Molokai Burger – A newly renovated burger restaurant that also offers fried chicken, fish and chips, loco moco, milkshakes and more. I ate here twice and loved it both times. Molokai Pizza Cafe – Serving typical pizzas and very tasty garlic fingers. Available for take-out or dining in. Paddlers Restaurant and Bar – Described as fine dining cuisine in a casual setting. This is one of the places to “be” in Molokai at night and often features live bands and entertainment. Here you will find local dishes, typical American foods and a unique multicultural Asian fusion. So basically they serve all of the things. 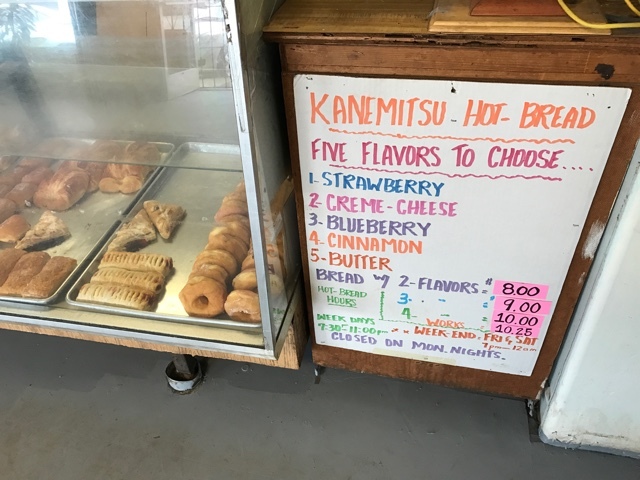 Kamoi Snack-n-Go – Come here if you are looking for a scoop or two of ice cream. They serve 32 flavours of Dave’s Hawaiian ice cream. 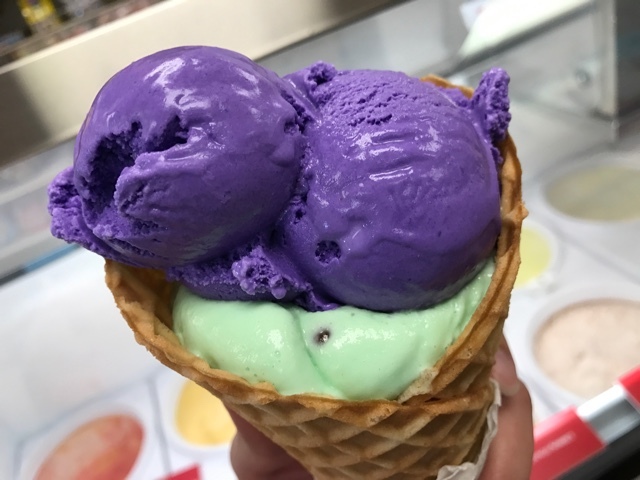 One of the most popular flavours is the Ube ice cream. Made with purple sweet potato it is tasty and extremely colourful. I paired it with mint chocolate chip and was in love. Hiro’s Ohana Grill – Opened in July 2017 at Hotel Molokai, I missed getting to eat here by just a couple of months. From the photos and reviews that I have seen online though it looks like a great place to eat especially since you can dine right by the ocean. Sun Down Deli – A tiny little sandwich and salad shop on the main street run by cute Hawaiian ladies. A great place to go for a quick bite on the go. 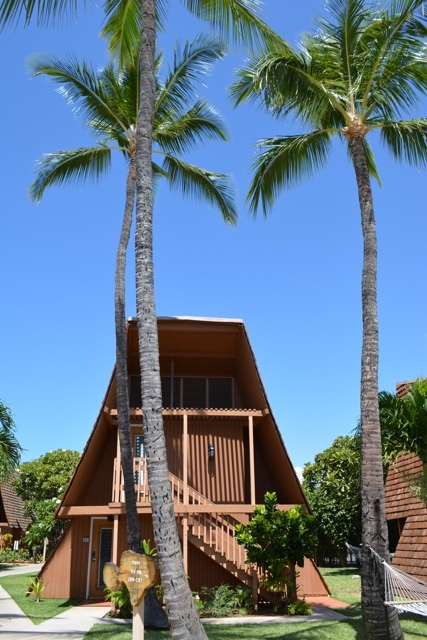 If you are visiting Molokai you most likely will be staying at Hotel Molokai since it is the only hotel on the island. 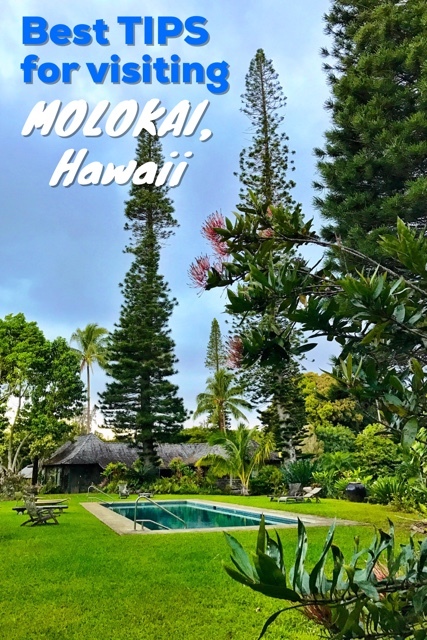 You can also camp, rent Airbnbs, or stay on a ranch but if you want that hotel life, Hotel Molokai is it. 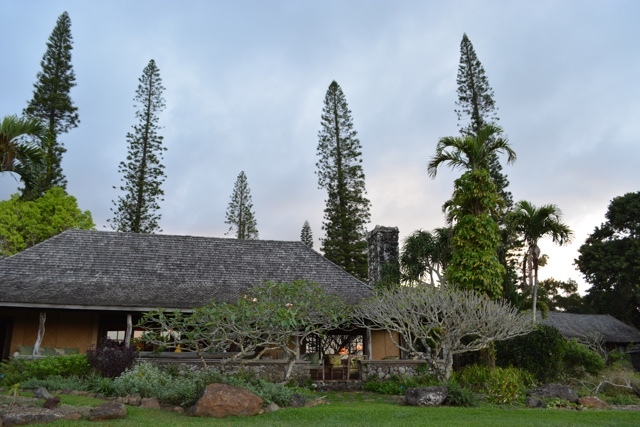 Aside from Hotel Molokai I also had the opportunity to visit and spend the night at the Pu’u O Hoku Ranch, an organic and biodynamic ranch and farm on the east side of the island. For small groups or solo travellers they offer a couple of cottages for rent where you can cook for yourself. Be sure to purchase your groceries in town before arriving. You can also arrange with the property to bring you ranch-raised beef and/or a box of produce of items grown on the property. If you are a group of 14 to 22 you can rent out the lodge for a minimum of 4 nights. The perfect spot for a retreat with 3 meals included a day. The ranch lodge and property is also a perfect location for weddings. 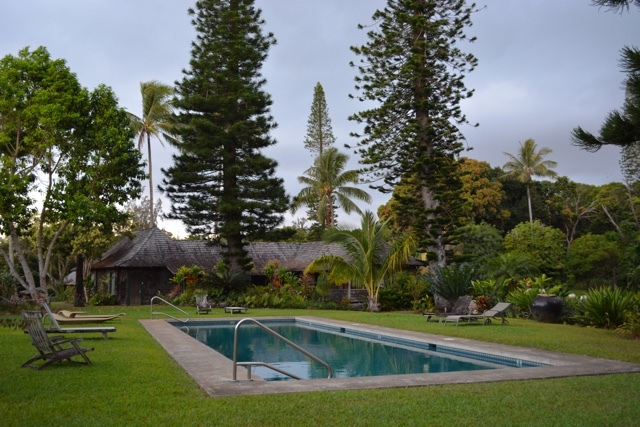 The large property has miles of hiking trails that can take you down to lava cliffs on the ocean. You can also take guided tours of the property’s organic farm and learn about everything from the vegetables they grow to the bees they keep. 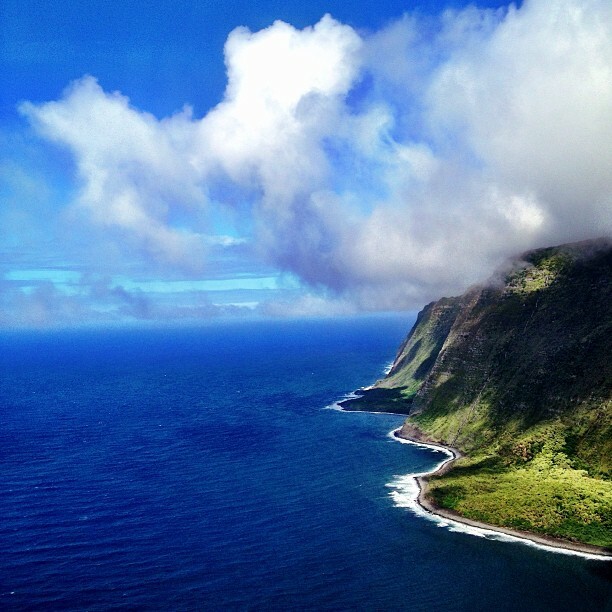 If you are on Maui you can also take a helicopter tour with Blue Hawaiian and fly along the cliffs of Molokai. Standing up to 3,900 feet above the ocean they are the highest sea cliffs in the world. You might also recognize them from the beginning of Jurassic Park 3. Like this post? Give it a pin! Thank you for #SeeMolokai for having me. As always all opinions, views and full bellies are my own.